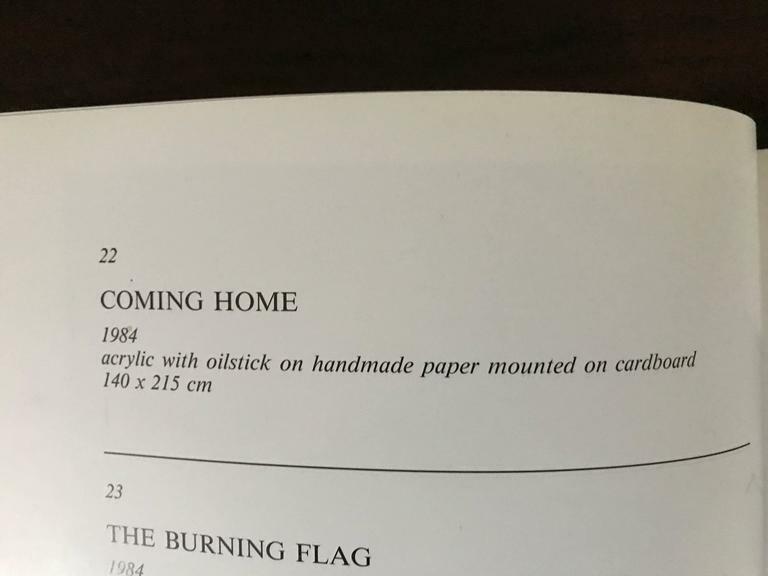 Karel Appel Cobra "Coming Home"
Fantastic and big large painting by Karel Appel (1921-2006) Cobra group Title: Coming home 1984 Measures: 140 x 214 cm Expressionisme acrylic with oilstick on handmade paper mounted on cardboard published in the book by Guy Pieters : Karel Appel together with a statement of the pailnter Hanging in an indoor private swimming pool fully protected "protected by a professional plexiglass coverbox"
Roger Raveel 1921-2013 Belgian Flemish painter Oil on canvas "Blue window" 1997 Measures: 59 x 70 cm. 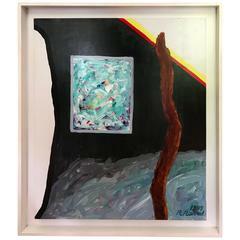 Fine cobra painting, acrylic on canvas in the style of Karel Appel Measures: H. 71, W. 50 cm. H. 27.9, W. 19.6 in. 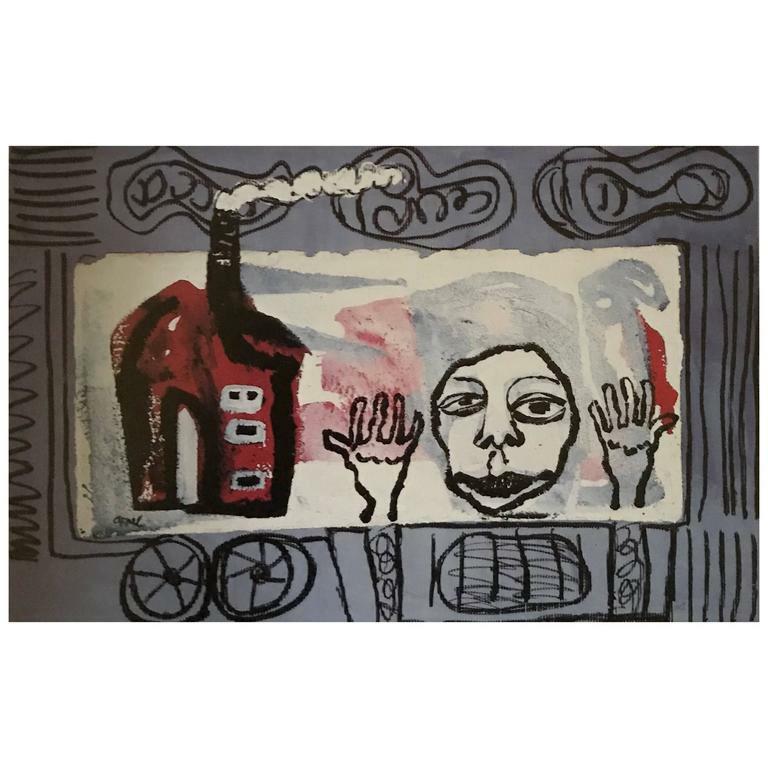 Decorative painting by Karel Appel (1921-2006). Mixed-media on canvas. Dated and signed. 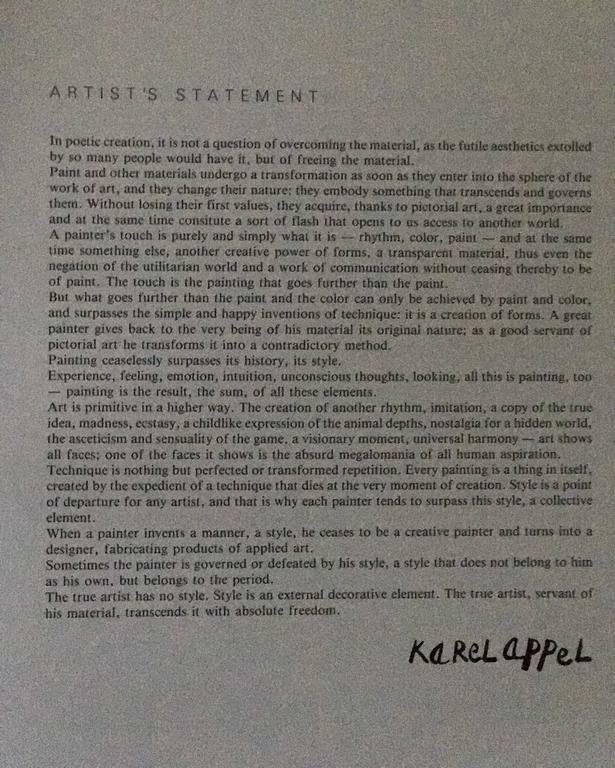 Authenticated by Karel Appel, Harriet de Visser on 20 June 2006. Karel Christiaan Appel Crayon on paper "Abstract Landscape". 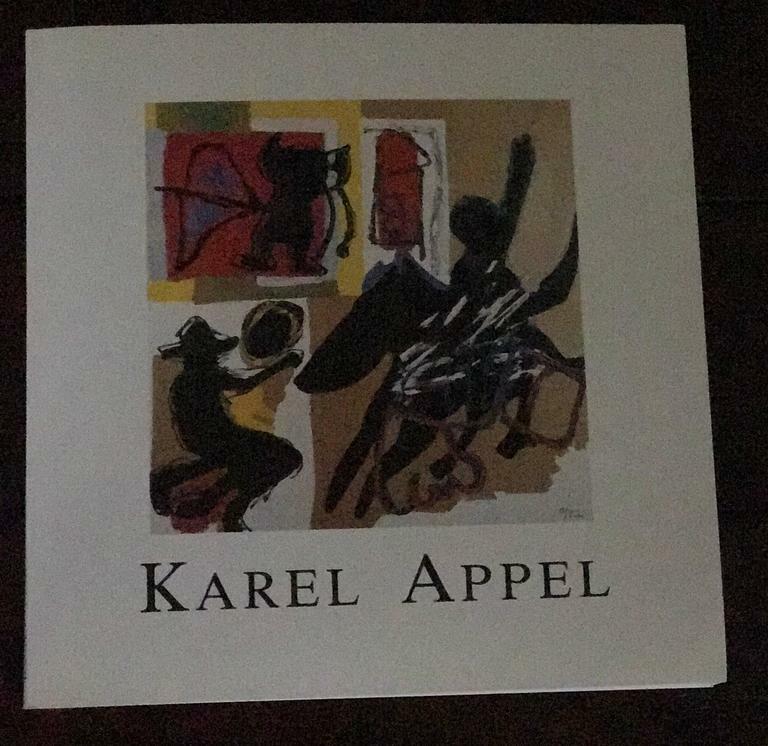 Karel Appel Artist Edition pencil signed, image with swirls and “Two Faces” in acid free matte, silver frame with soft black edge.